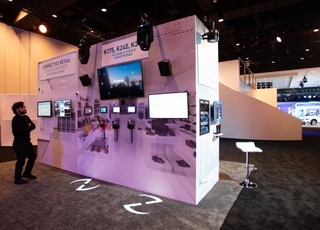 We at HARMAN are always looking to elevate events and experiences through our pioneering audio solutions. This past September, HARMAN powered the ninth annual BRICS Summit in Xiamen, China. 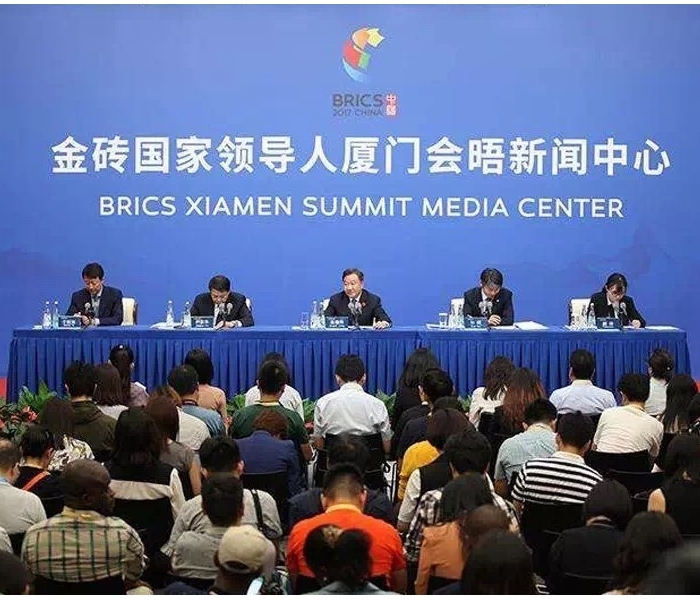 The BRICS Summit is an international relations conference that is attended by the heads of government of Brazil, Russia, India, China and South Africa. Since 2009, the BRICS nations have met annually at this formal summit to improve the global economic situation, reform financial institutions and discuss how the five countries can better co-operate in the future. The theme of this year’s conference was “BRICS: Stronger Partnership for a Brighter Future.” This year, China’s president, Xi Jinping, hosted the event at the Xiamen Conference & Exhibition Center, the main venue for the BRICS business forum, which was installed with innovative sound systems from our HARMAN Professional Solutions unit. 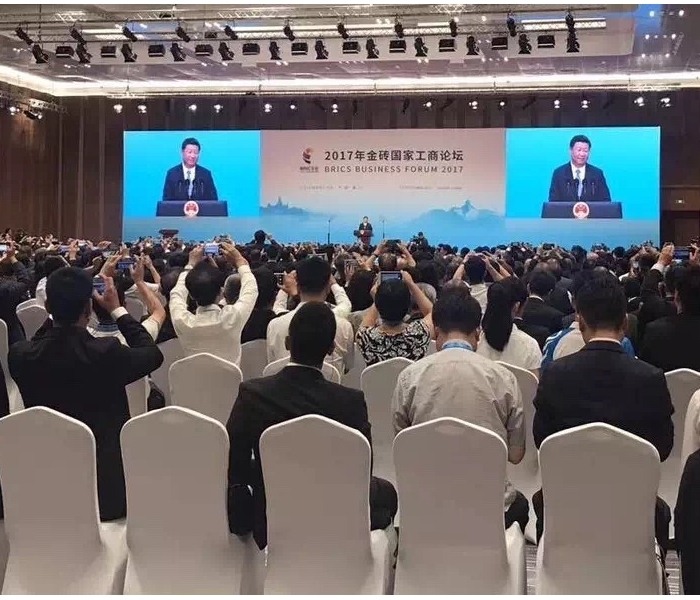 The Xiamen Conference & Exhibition Center can accommodate nearly 1,200 audience members allowing HARMAN to showcase our audio solutions to attendees as well as country leaders including: Michel Temer, President of Brazil; Vladimir Putin, President of Russia; Narendra Modi, Prime Minister of India; and Jacob Zuma, President of South Africa. HARMAN Professional Solutions systems deployed at the event delivered guests with high energy sound and remarkable acoustic coverage of the entire auditorium. Ten JBL VTX V20 line array loudspeakers were placed on both sides of the stage and were powered by 20 Crown I-Tech 4x3500HD amplifiers. In addition, two JBL VTX S25 ultra-low frequency subwoofers were also planted on the ground beneath the line arrays powered by two Crown I-Tech 12000HDs. But, that’s not all. We also provided a total of 24 point source JBL AC2212 speakers, JBL AC2212/64 speakers and JBL AC2212/00s to enable the best listening experience for the international conference attendees. To control the many speakers and amplifiers deployed at the event, HARMAN’s Soundcraft Vi7000 served as the master digital mixing console and Soundcraft MH2 analog mixing console provided backup. 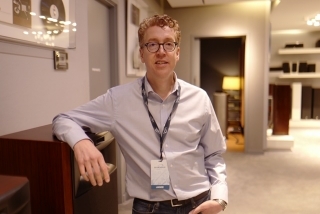 Utilizing two BSS BLU-160 units, the systems audio processing was able to distribute and process audio signals, which ensured flawless switching between the master and backup mixing controls while carrying out the overall sound system adjustments of the conference. HARMAN Professional Solutions teams went above and beyond for the BRICS summit, one of the world’s most important global diplomatic activities. Our exceptional audio quality and seamless performance won recognition and praise of professional users and BRICS Summit attendees. Like the BRICS Summit, HARMAN strives to build a brighter future for our customers through our industry-leading connected technologies across sectors such as automotive and audio that deliver remarkable experiences. 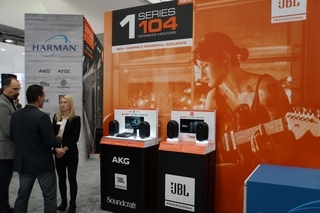 Learn more about HARMAN Professional Solutions by clicking here.